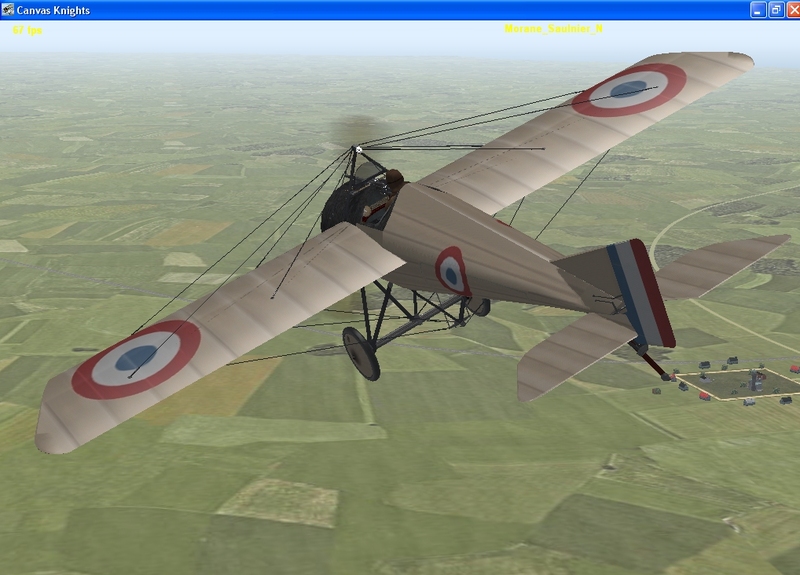 In these missions you go head to head with the AIRCO DH2 and Halberstadt D2. 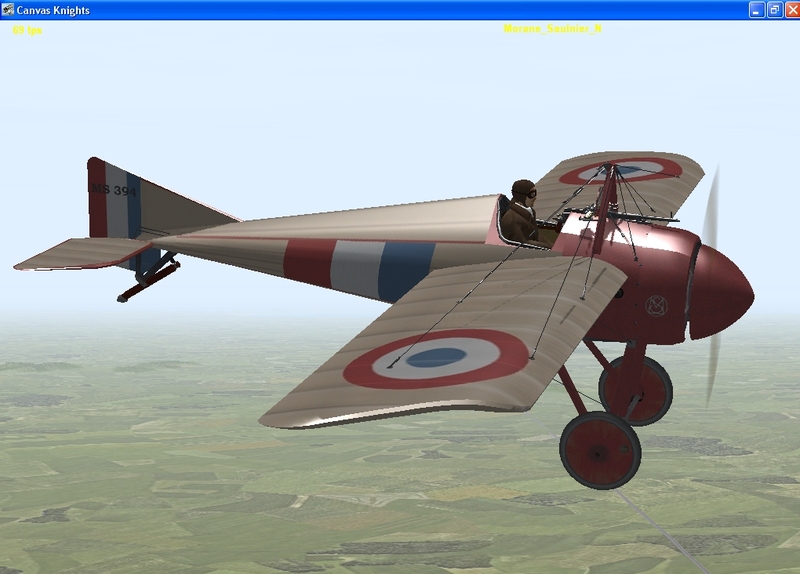 Ok all here she is the first of the monoplanes for Canvas Knights! 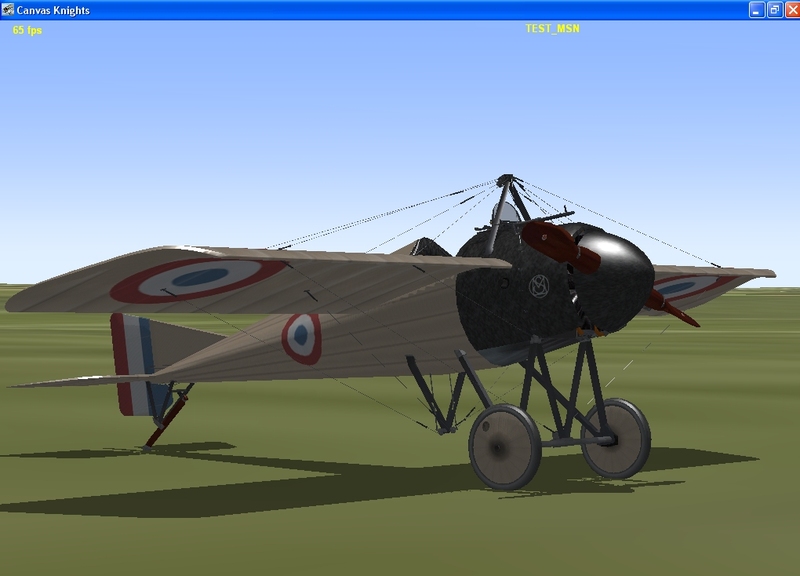 Have your first look at Canvas Knights Morane Saulnier N.
Fabulous! 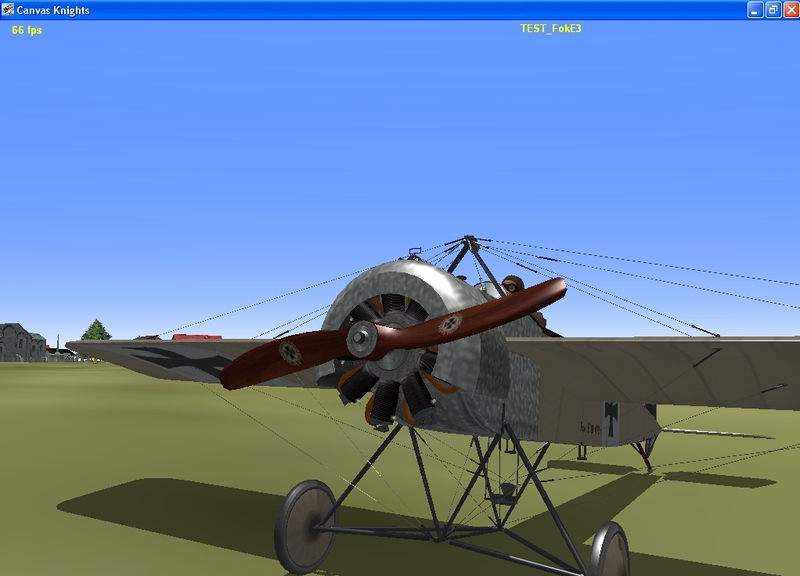 Still my favorite in RED BARON I! 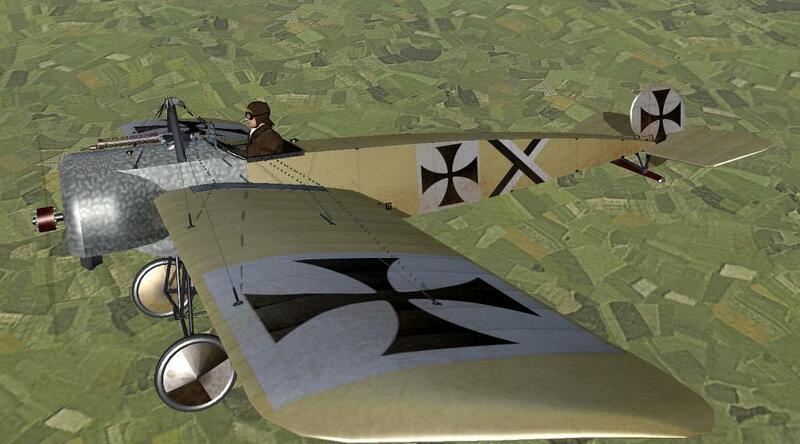 You've got the prop decal right! 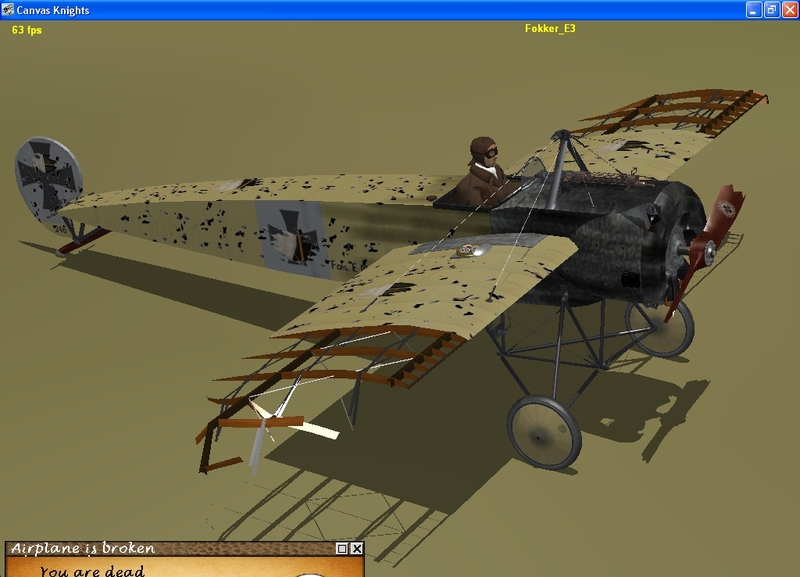 Only 49 were built but the 'casserole' spinner caused heating problems and was removed; love the deflectors with the Hotchkiss! 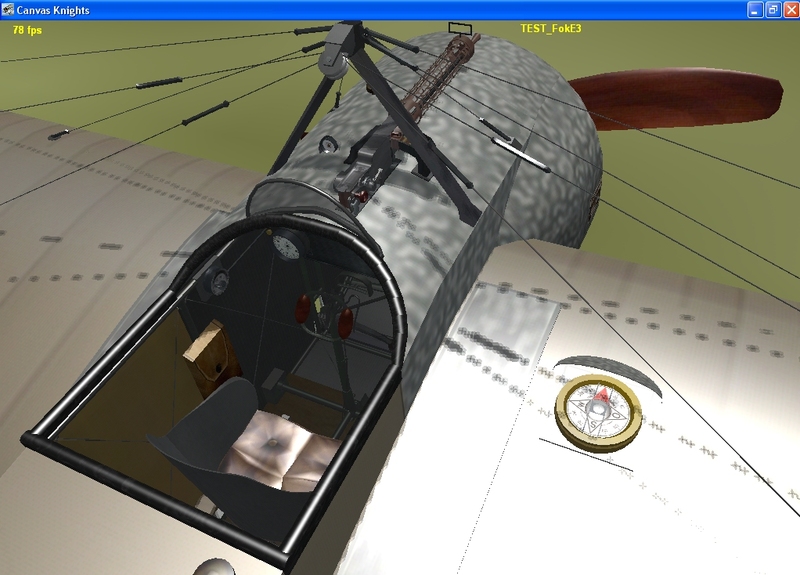 Roland Garros used the arrangement in his Morane Salnier 'L' to shoot down 3 German planes- an ergonomic improvement : the gun, the fuselage, and the pilot's eye-all in alignment- Vóila! 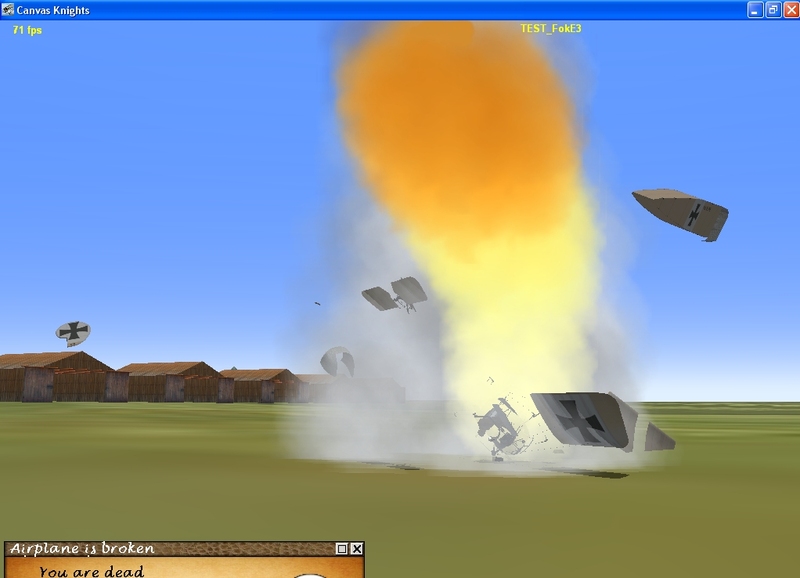 war is thus simplified! 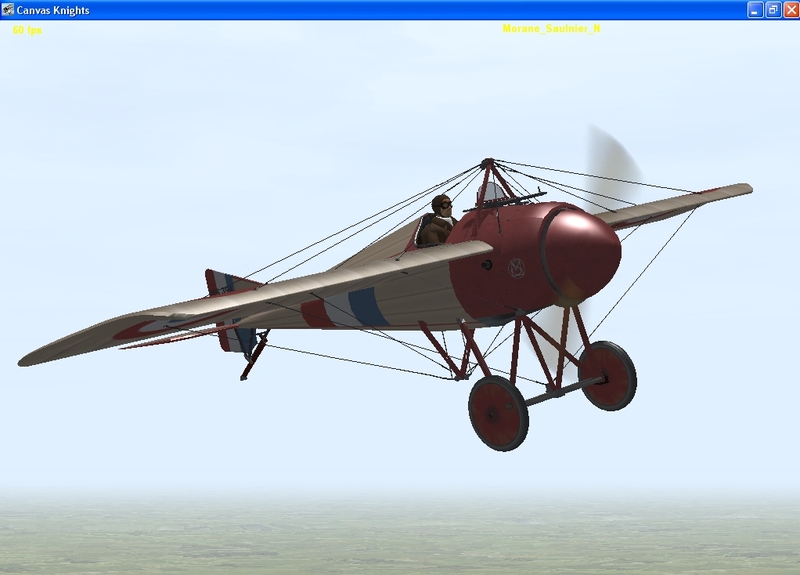 New CK plane out today! 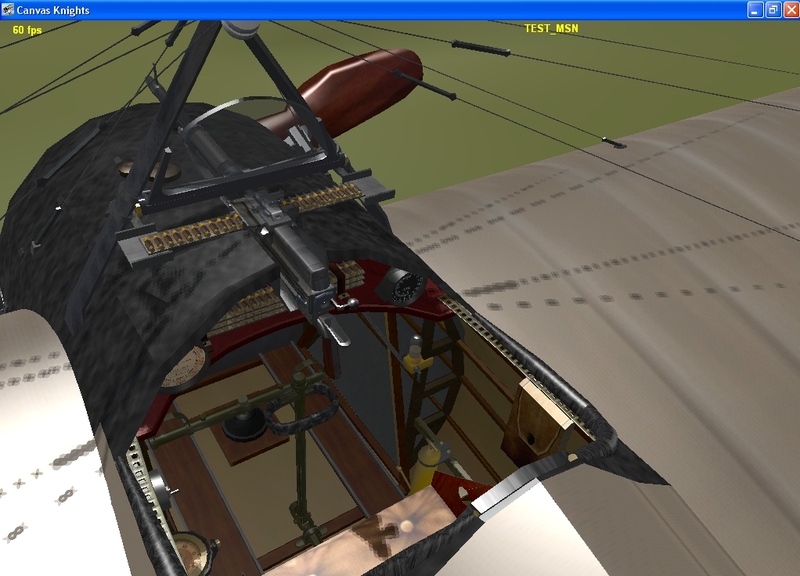 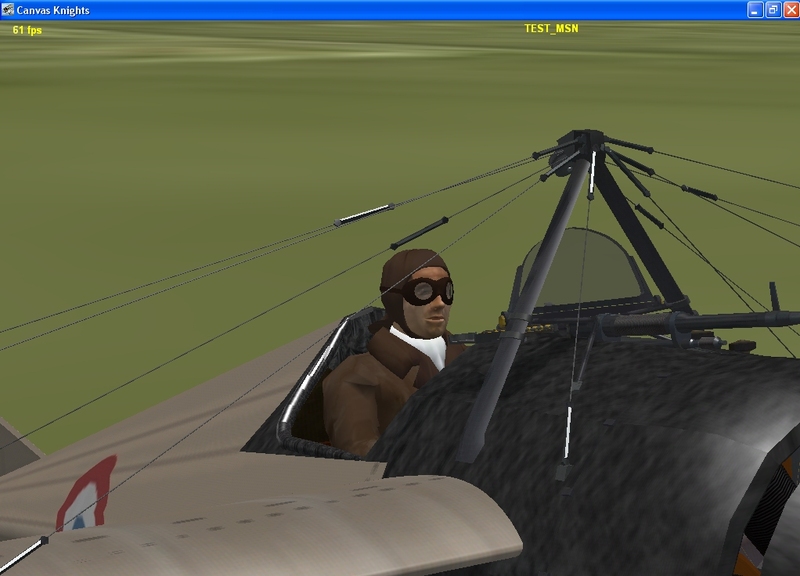 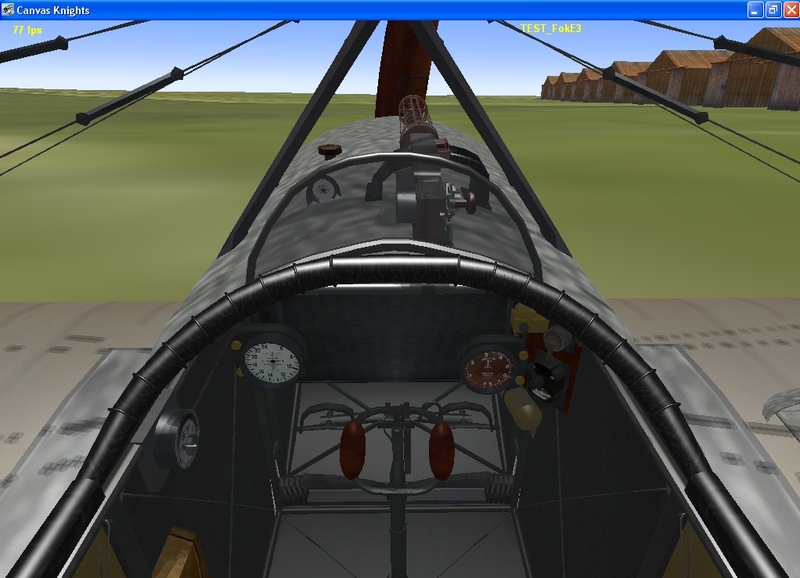 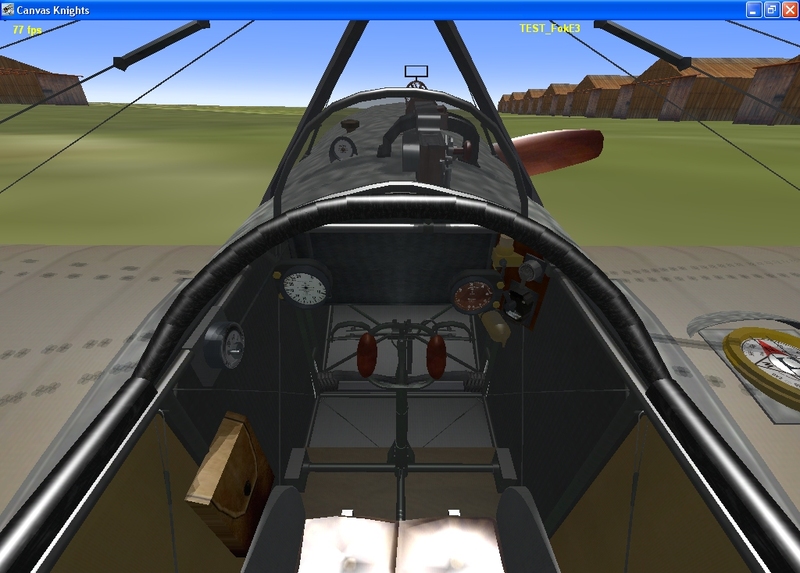 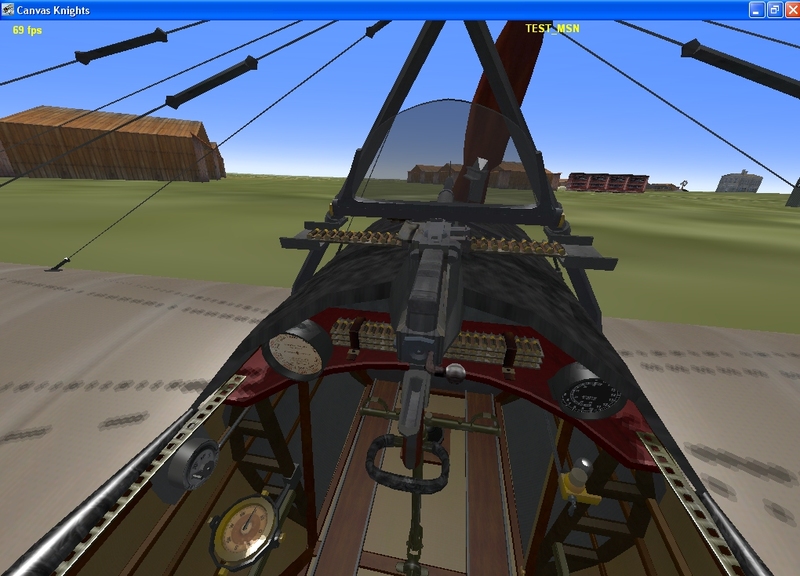 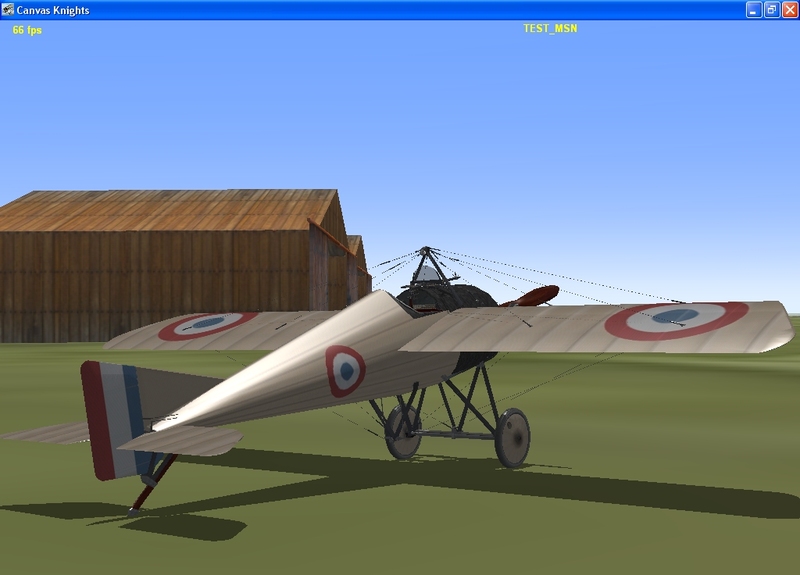 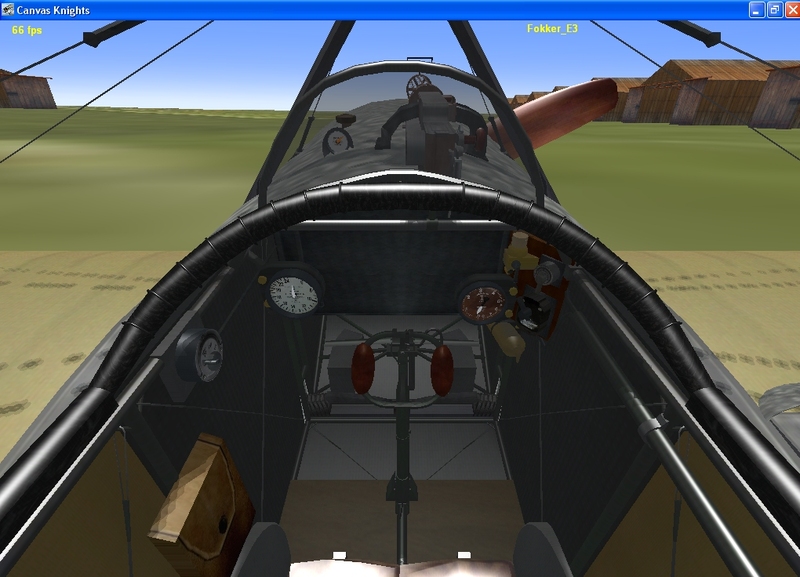 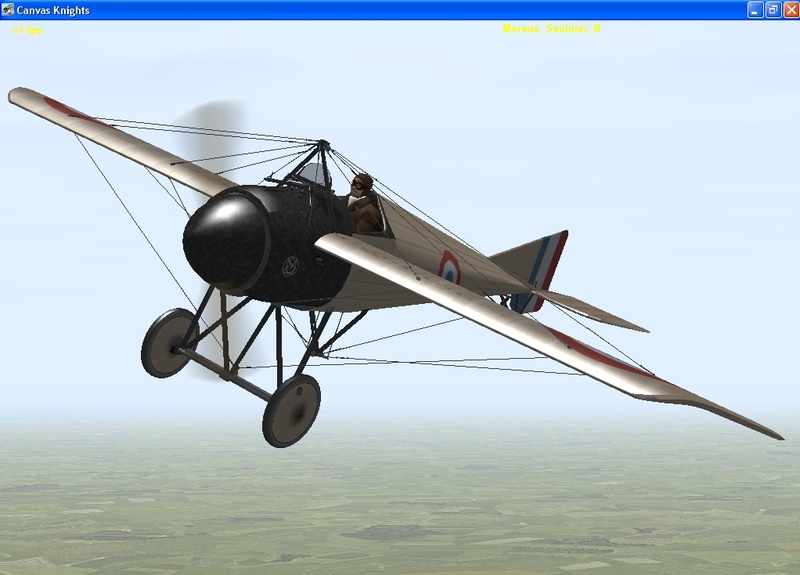 The Morane Saulnier N for Canvas Knights is now up for download! 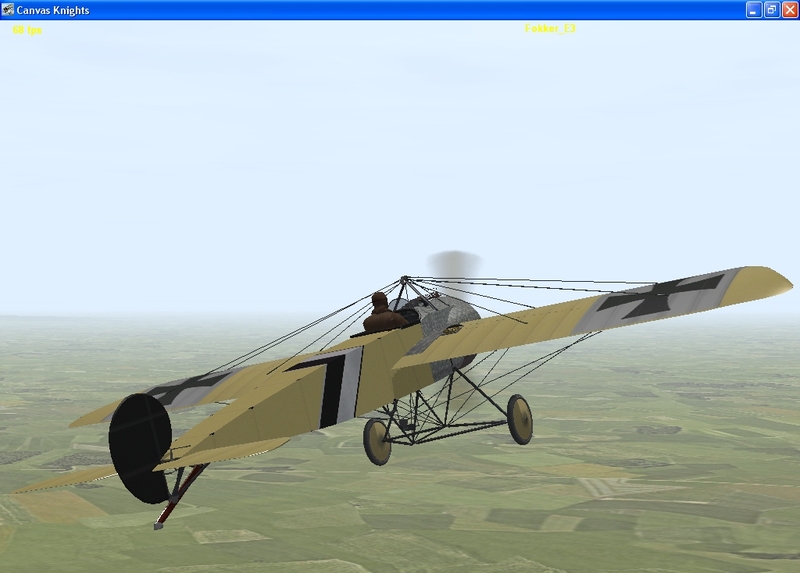 Hope you all enjoy the MSN. 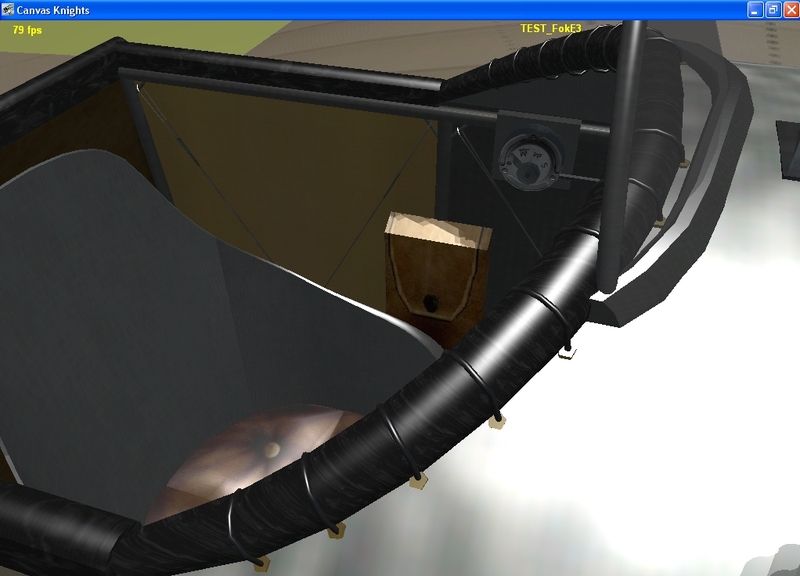 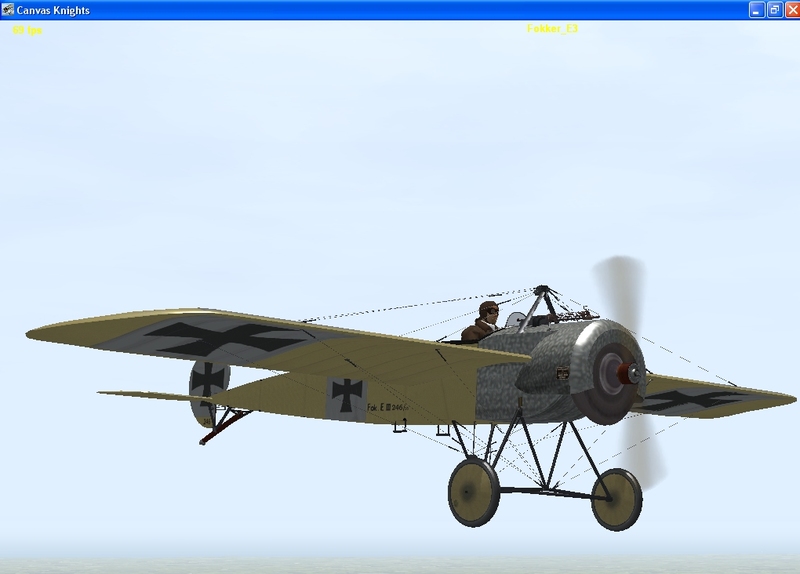 Now on to the next plane and the Fokker E3 eindecker is on the way! 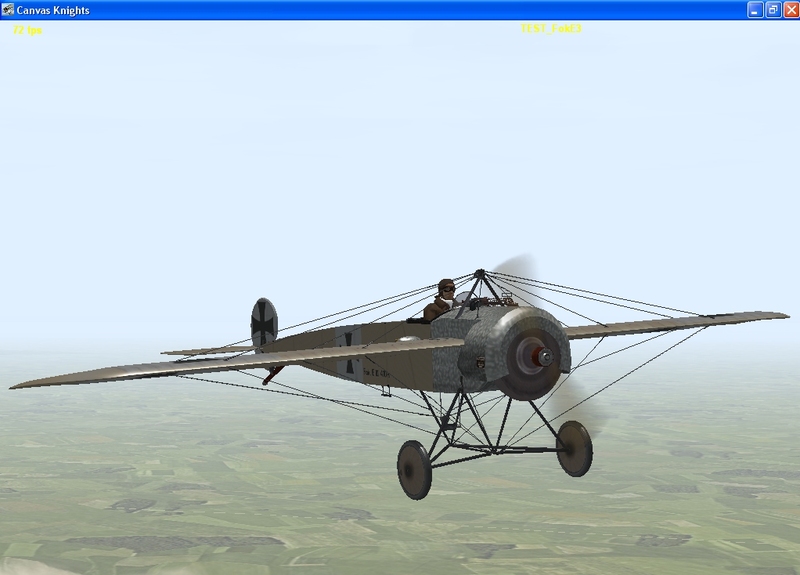 Ok all here she is! 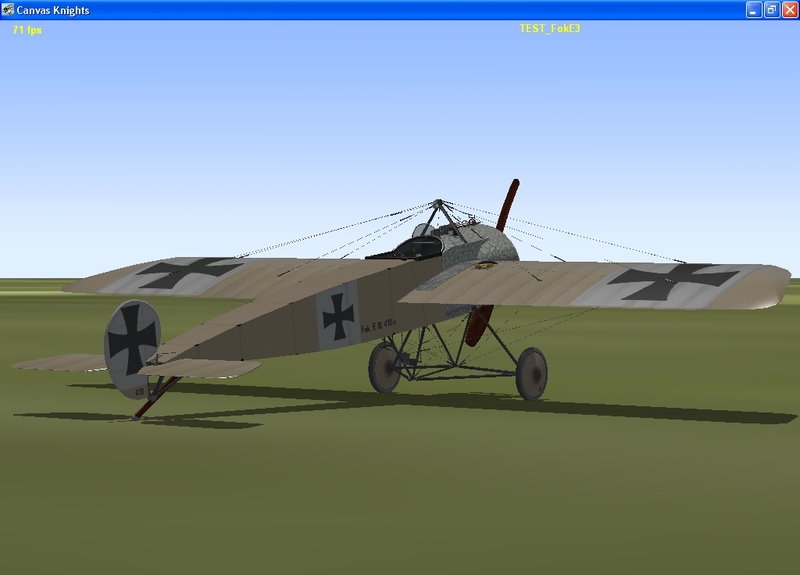 Have your first look at Canvas Knights Fokker E3. 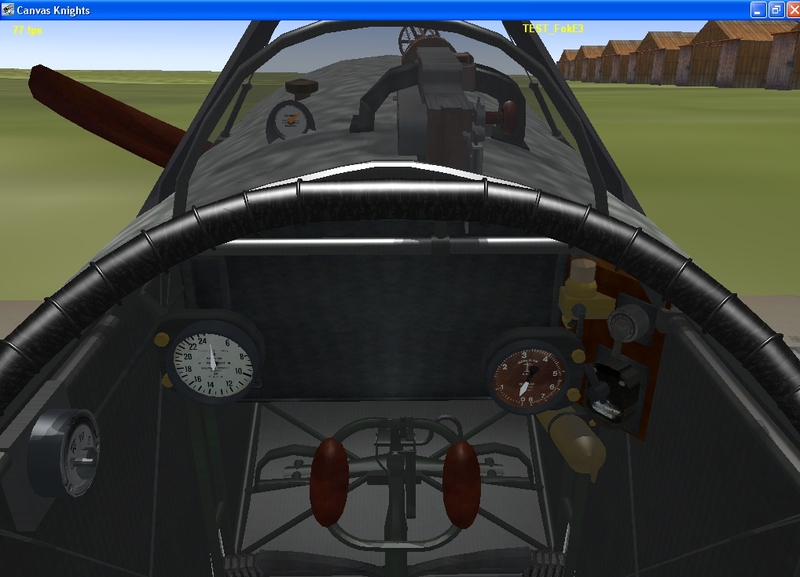 This is just a small update for the leather coming around the cockpit, I was not happy with the way it looked so I added the leather laces and brass eyelets and now I think it looks much better. 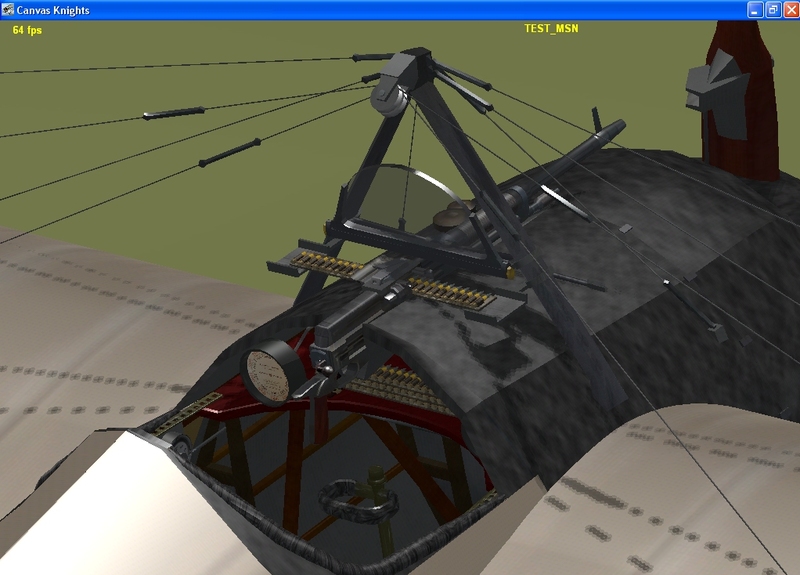 The gun hammer is working. 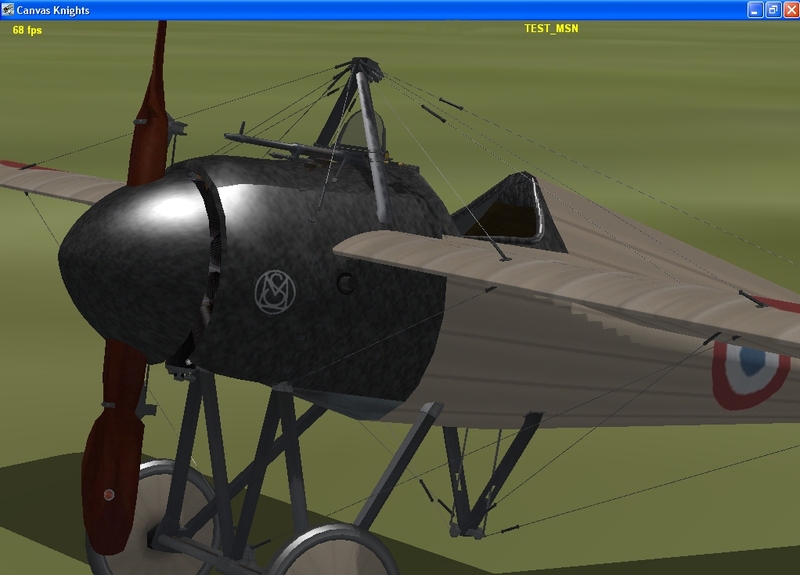 From a small museum just south of my location: A little showy IMHO; I think it's missing the wing compass and there are no propeller decals Great Stuff! 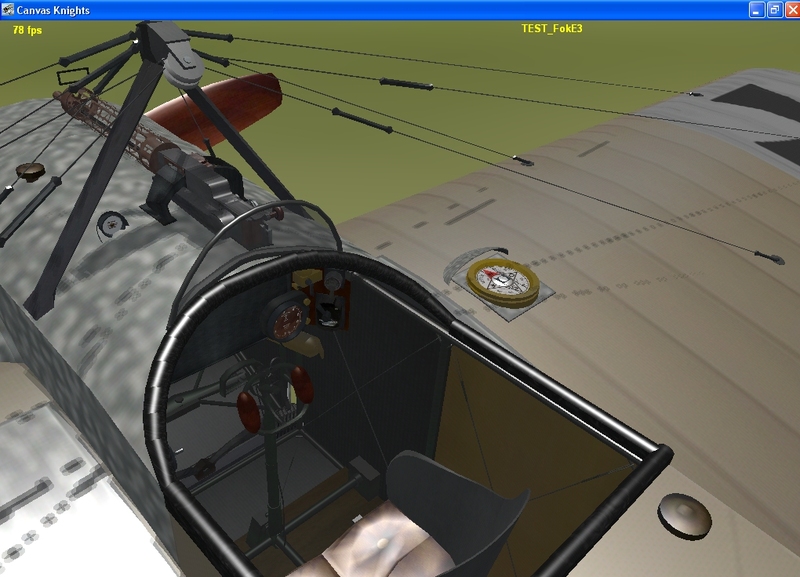 A lot of little things have been done for example adding the Garuda prop decals. 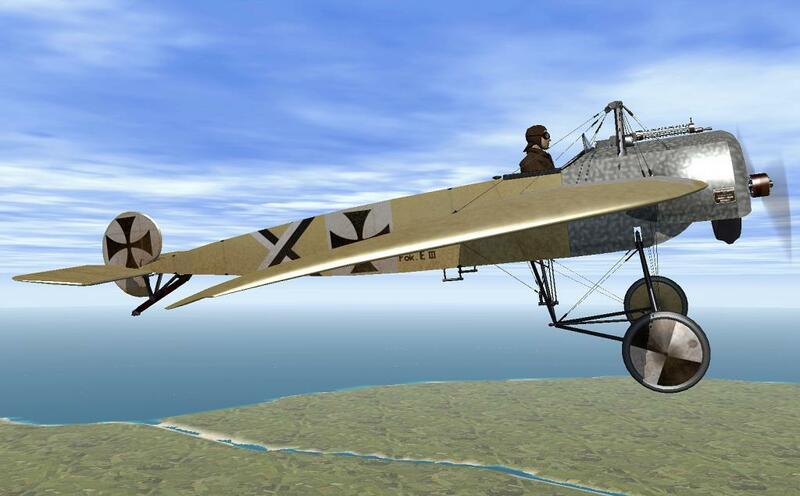 You and MAX Immelmann are in complete Synch! 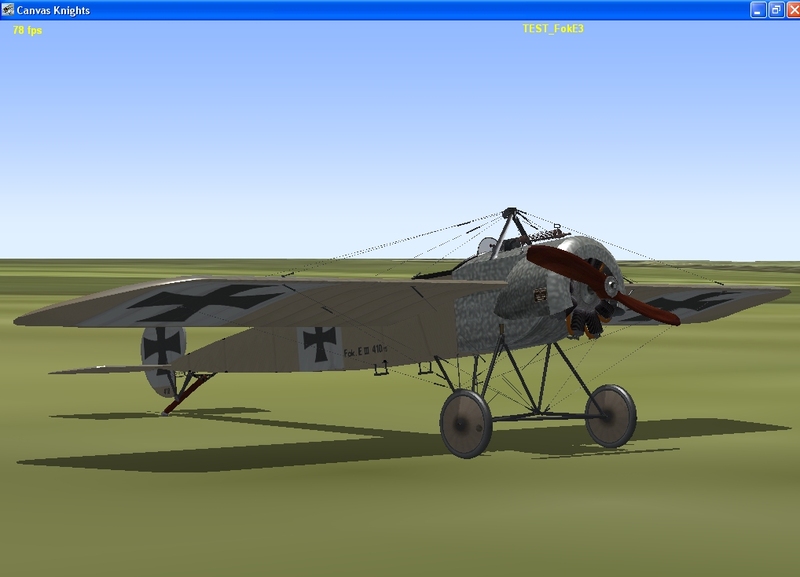 The Canvas Knights Fokker E3 is now up for download! 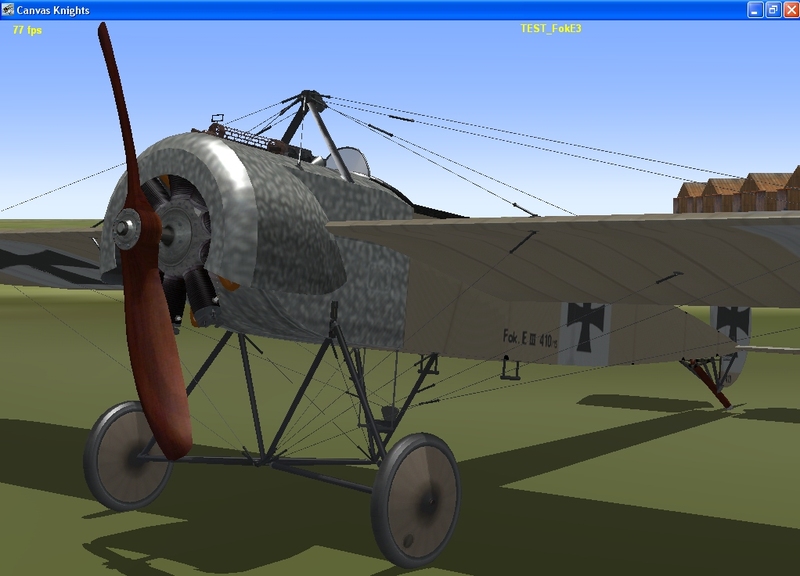 Hope you all enjoy the Fokker E3. 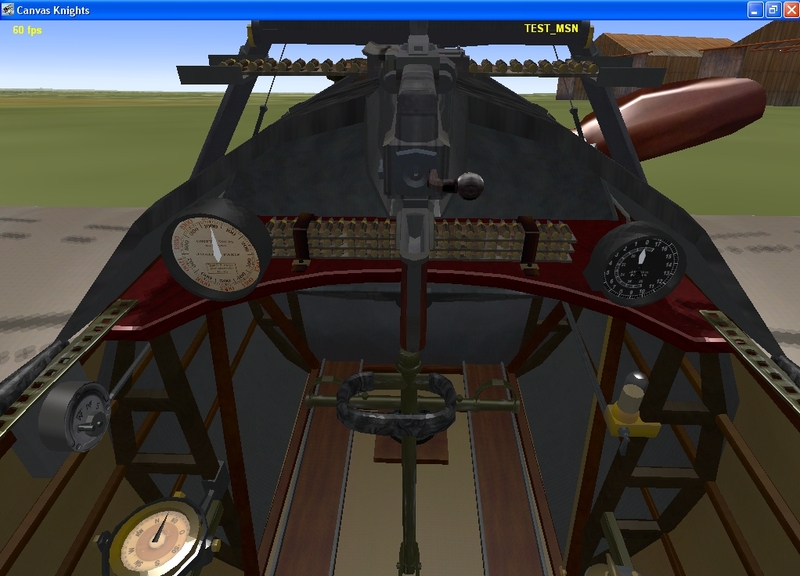 Now on to the next plane and the hand gun planes are on the way! 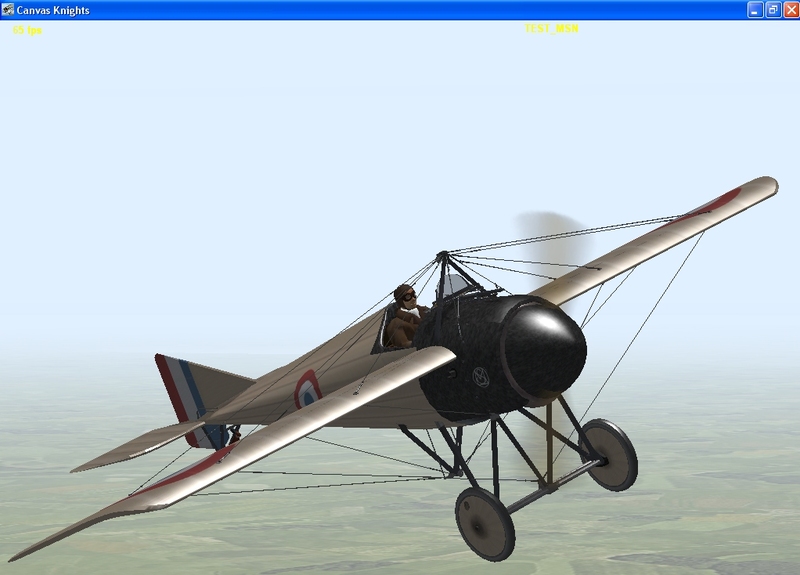 New missions up for download. 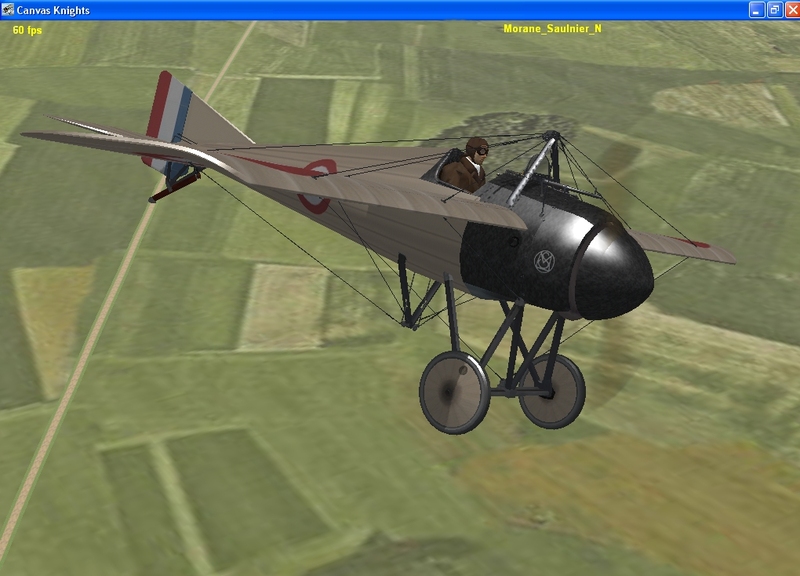 Canvas Knights Morane and Eindekker Missions. 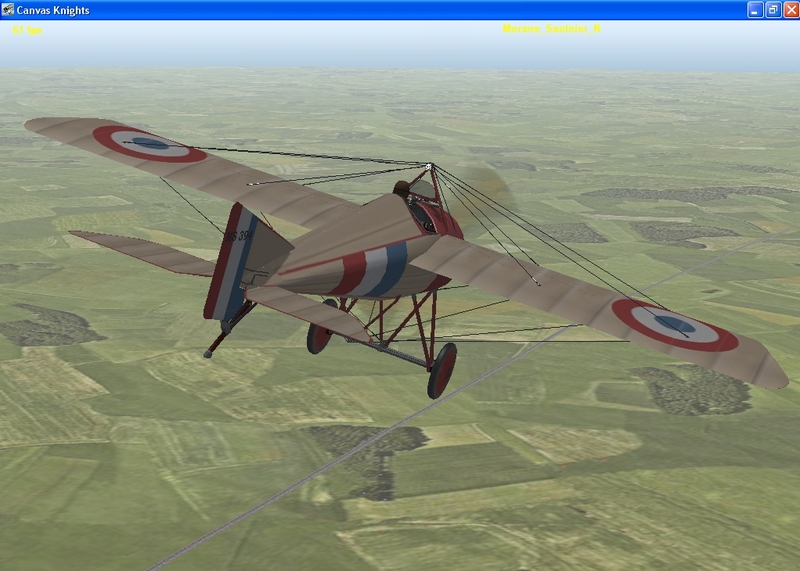 There are four missions in this folder 2 standard dogfight missions...Morane vs Eindekkers. 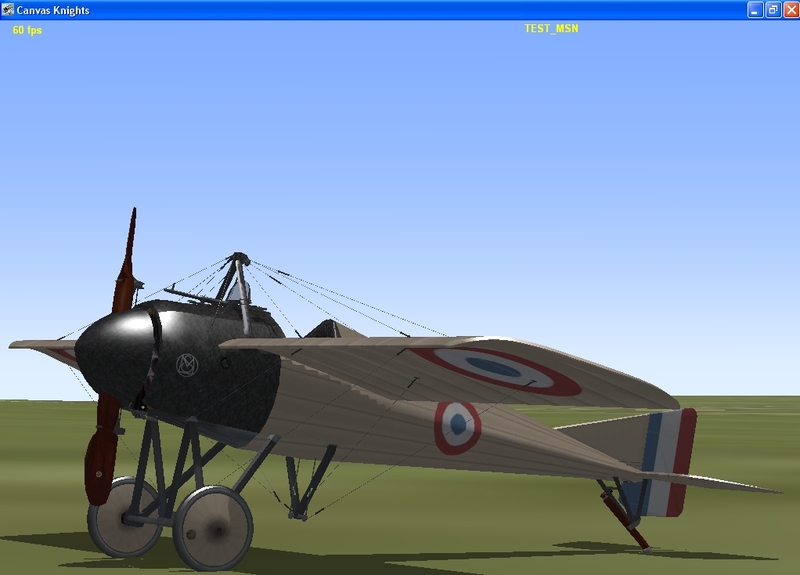 Roland Garros' first aerial kill with a Hotchkiss mounted plane and Immelman meets a flight of FE2bs in a dogfight to the death. 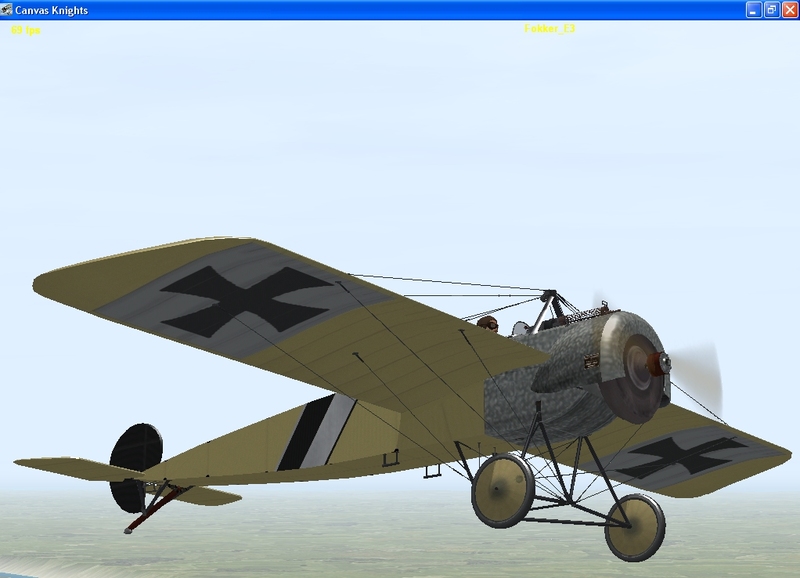 Fokker E3 Lt. Kurt Wintgens skin is now up for download. 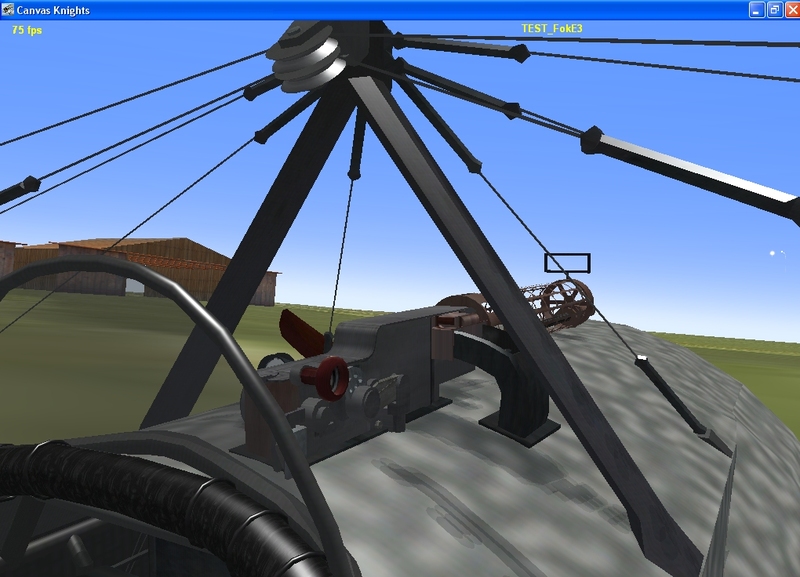 This looks interesting. 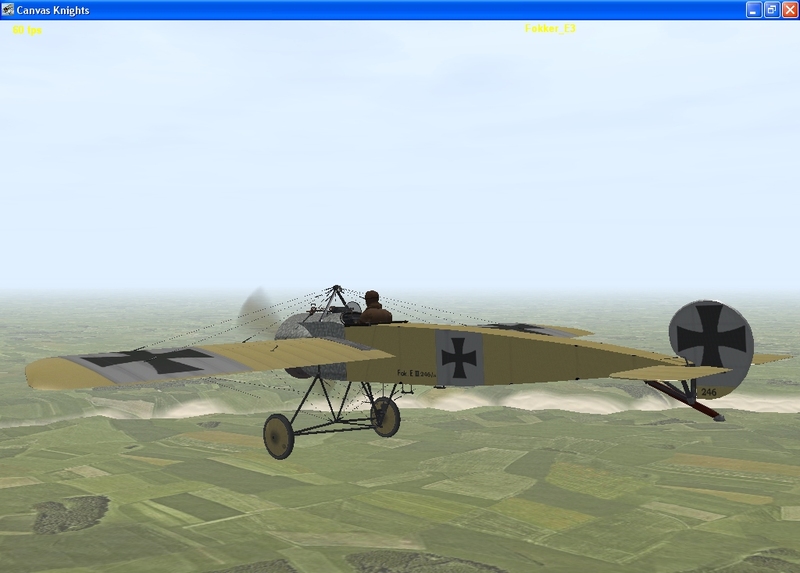 I have Rise of Flight but that only has aircraft for the player, no land/sea vehicles. 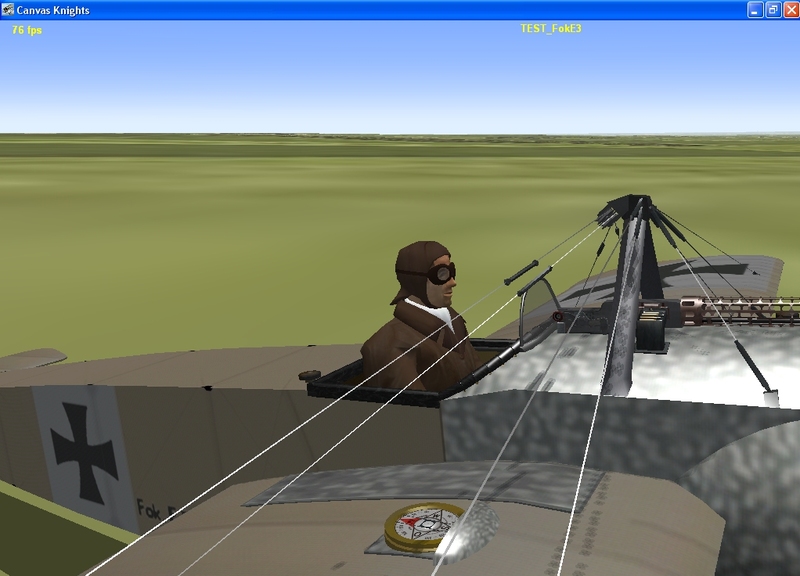 I will watch this with interest!